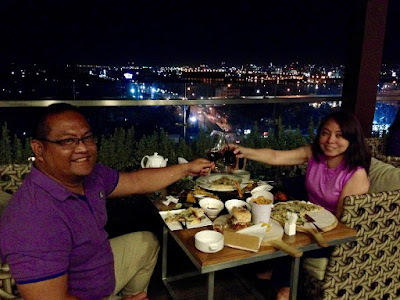 If you are looking for the best restaurant to view the sunset in Cebu then my recommendation would definitely be the Scape Skydeck at the roof deck of Azon Condominium in Mactan, Cebu. When you plan to dine here, I suggest that you come as early as 5 pm so that you can witness the glorious summer sunset over some burgers and cold drinks. I have always been curious about this restaurant and I was really planning to brave the Mandaue-Mactan traffic to check what it offers. I was planning to go here on a weekend when I received an invitation from their chef. 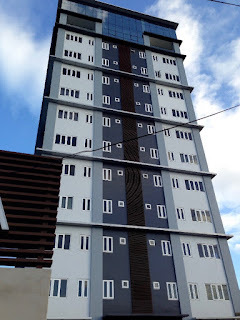 I decided to go there along with my wife on February 25 because it was a holiday and I thought the Mandaue traffic will not be as bad. The traffic was still bad. It was a good thing we left early and we managed to arrive just a few minutes past 5 pm. We were one of the first diners to arrive. The view at Scape Skydeck was just unbelievable. 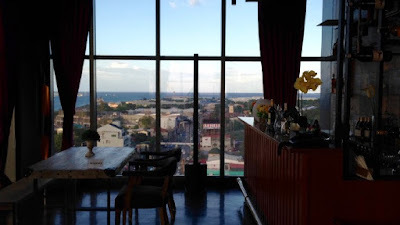 In the air-conditioned part, you can see the 2 bridges that connect Mactan from Cebu mainland. On that same side, you can see the sun slowly heading towards the mountains as its sets. 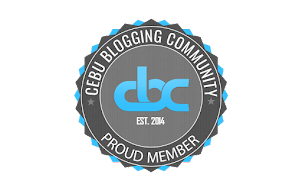 On the opposite side, you have a view of the airport and you can see airplanes fly out of the Mactan International Airport. 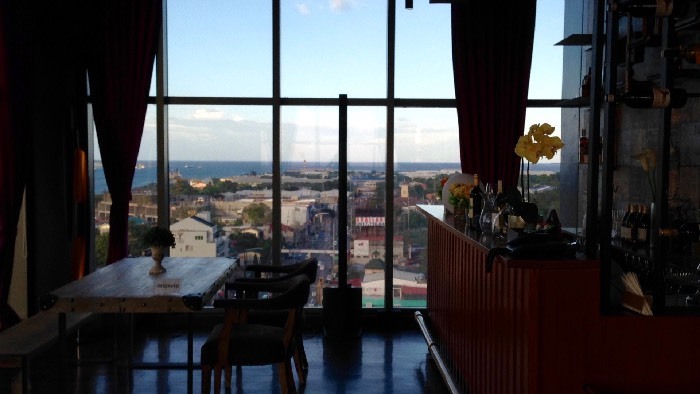 Another angle will have the view of Mactan and the towns of Consolacion and Liloan. 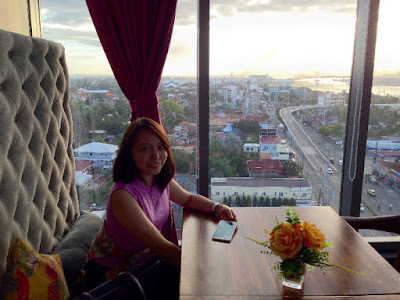 After satisfying our eyes with the breathtaking sites, we settled on a table and checked out their menu. 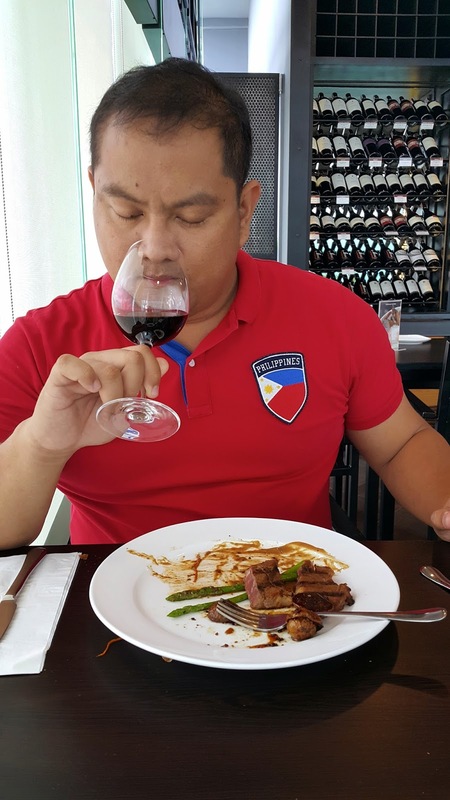 Chef June Rhoses Fernandez then introduced himself and said that he will be preparing some of the best dishes that the restaurant has to offer. 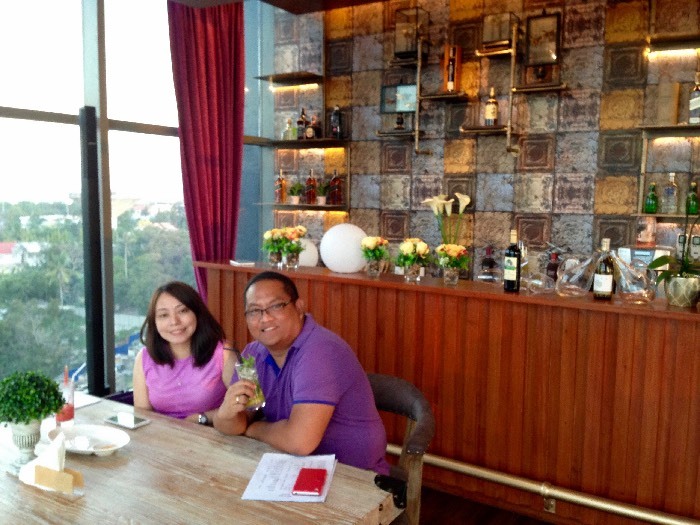 Operations Manager Jervi Monsanto-Sumayang prepared their signature drinks. Chef June and Jervi spent years working in Cebu's most luxurious hotel resort. 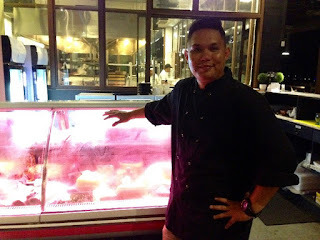 Chef June is a champion chef winning several local, national, and international competitions. My first encounter with him was way back in 2012 when he won the HRACCI Hamburger Throwdown. Jervi, meanwhile, is an award-winning bartender. 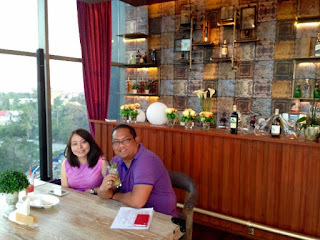 He is the only guy in the Philippines who has a drink named after him in Shangri-la's menu. With these two are the ones preparing your food and drinks, you cannot help but get excited about your dinner. While waiting for our food, we ordered some drinks. I had a mocktail called Virgin Mojito while Steph had watermelon shake. 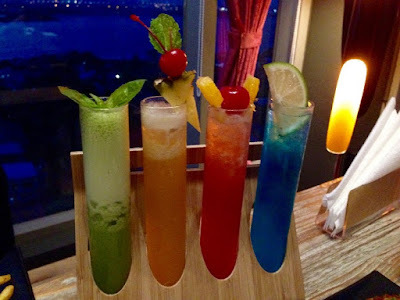 It was fun drinking these while watching the Cebu sunset. Scape Skydeck has a Happy Hour promo from 5 pm to 7 pm where you get 1 extra drink for free for every order of your favorite drink. This kind of offer would make me want to come here every sunset. 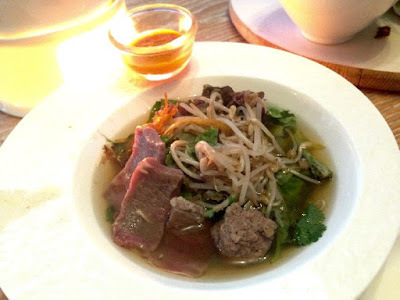 Vietnamese-inspired soup with beef, meatballs, beef tendons, fresh vegetables with a twist, in an aromatic exploding broth. To start our meal we were served with a Vietnamese Pho-inspired soup. It was presented with a bowl filled with the dry ingredients and a soup kettle that was heated by candle. It was like Pho without the noodles. 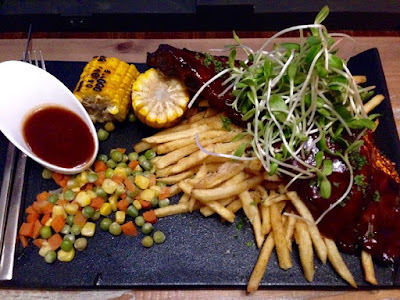 The way it was presented was like you are in a hawker stall where the dry and wet ingredients are prepared separately. It has beef, mung bean sprouts, meatballs, garlic, and other interesting ingredients. To begin enjoying the soup, all you have to do is pour the broth on it. All I can say is that this is the best soup that I have had in years. The aroma was pleasant and delicate. The flavors were spot on. The soup will simply transport you to Vietnam. My wife loved it so much. 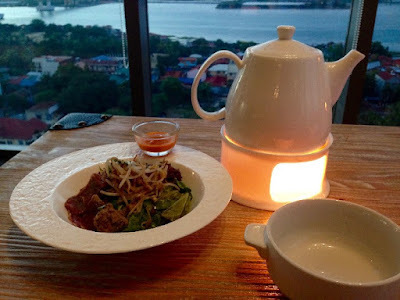 I could have gone home after drinking the soup and I would still end up saying I had an awesome meal in Scape Skydeck. Crispy Pig Ears are pretty common in London according to Chef June and he took his inspiration from the Duck and Waffle restaurant. Locally we normally eat the ears for sisig or as barbecue in the neighborhood barbecue stall. Chef June wanted to prepare it differently. My first encounter with fried pork ears was in Salinas Restaurant by Golden Cowrie. I loved it then and I still love it now. The ears were really crunchy and for sure, it will go so well with beer. The dish was mildly seasoned and it reminded me of "kinupusan". 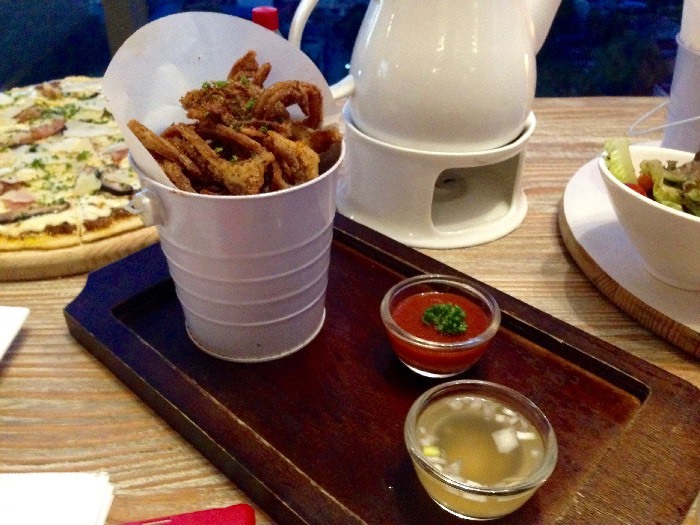 The crispy pig ears are best dipped in their vinegar, which Chef June fondly calls as Pinakurog. 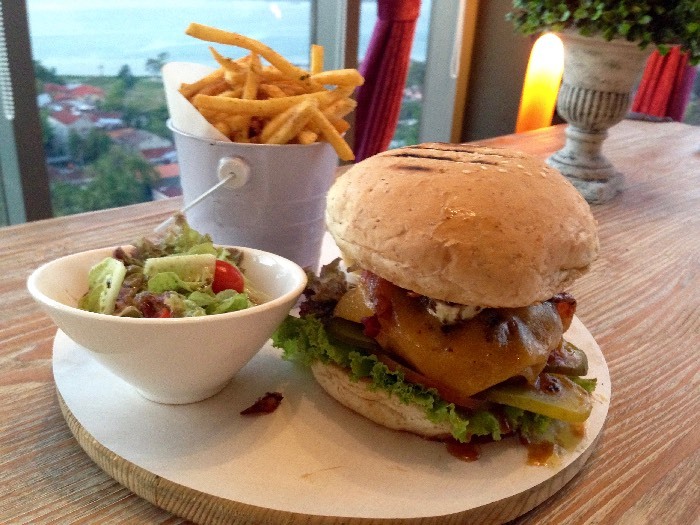 Chef June is probably one of best burger "designers" in Cebu and he has brought his creativity at Scape Skydeck. This signature burger is stacked with a bunch of premium ingredients that would give a massive dose of #happytummy. It was pretty good and the ingredients worked out. It was flavorful, balanced, and filling. 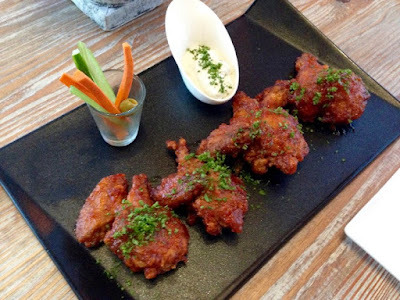 The wings were milder than expected, but it is one of the good nibblers in their line-up. Scape Skydeck also has nachos, Scape dynamite, nacho carnitas, and garlic parmesan fries on their menu. 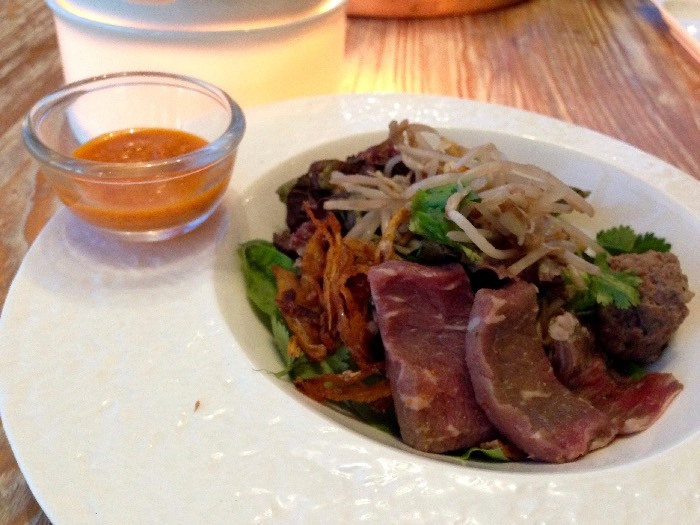 This is one of the highly recommend dishes of Chef June. The crust is thin and crunchy. This pizza has a really powerful aroma. It is quite filling, making it a perfect dish for groups. If you love truffles, you have to go here. 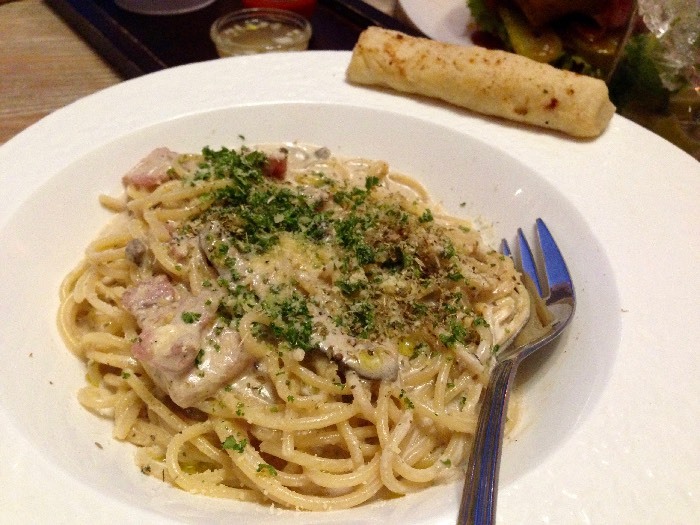 Their carbonara was packed with flavor. My wife enjoyed it a lot. Their ribs were tender, succulent, and full of flavor. It is a good dish to share. This is another one of the highly recommended dishes by the chef. I got to taste their Salpicado and it was excellent. This dish is so perfect with garlic rice. This is the type that I would surely enjoy any day. The beef was tender and the sauce would make anyone a rice eater. To cap our delicious meal we tasted their desserts. They have mango cheesecake, which was perfect to cleanse the palate after such an awesome dinner. It was a very balanced dessert. 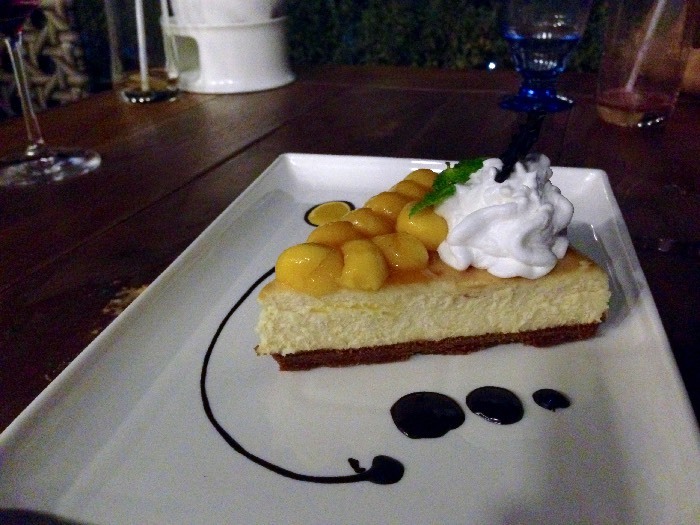 The acidity of mangoes goes so well with the mild sweetness of the cheesecake. The creme brulee sampler is good for 3. 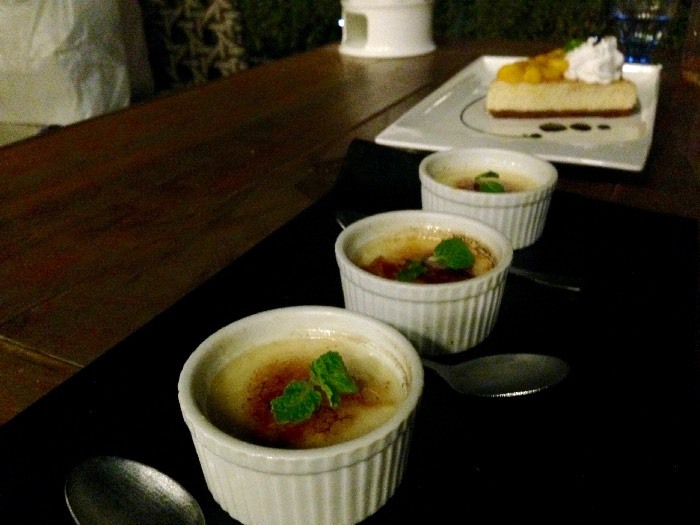 Each cup is cup is filled with a creamy creme brulee. 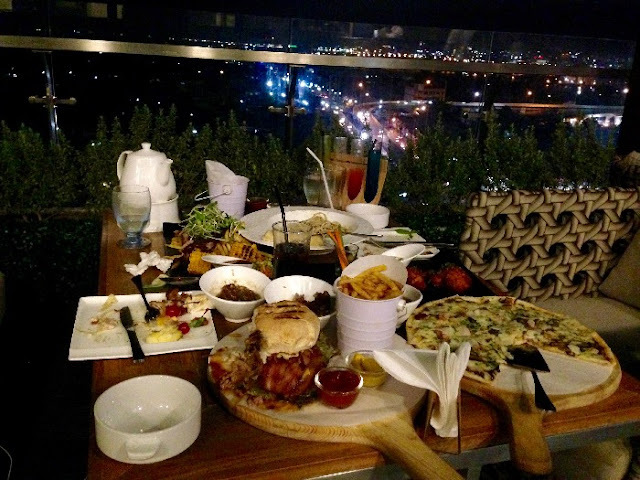 The sweetness is not overpowering making it a perfect ending to a night with excellent food, stimulating conversation, and a spectacular view. 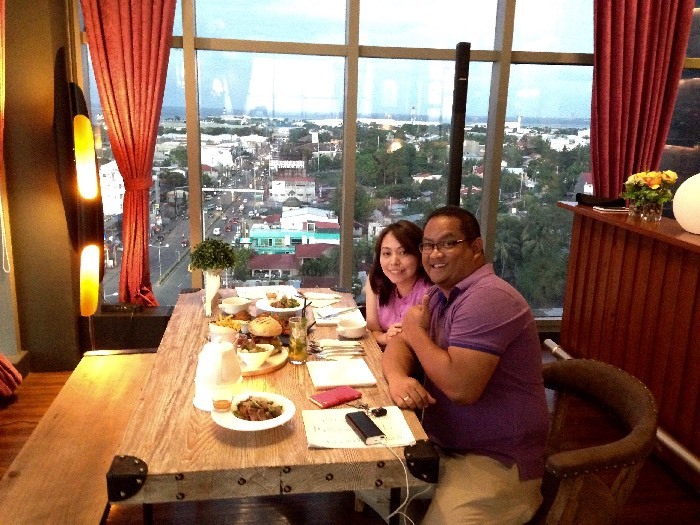 The Scape Skydeck is definitely one of the best places for a date in Cebu. 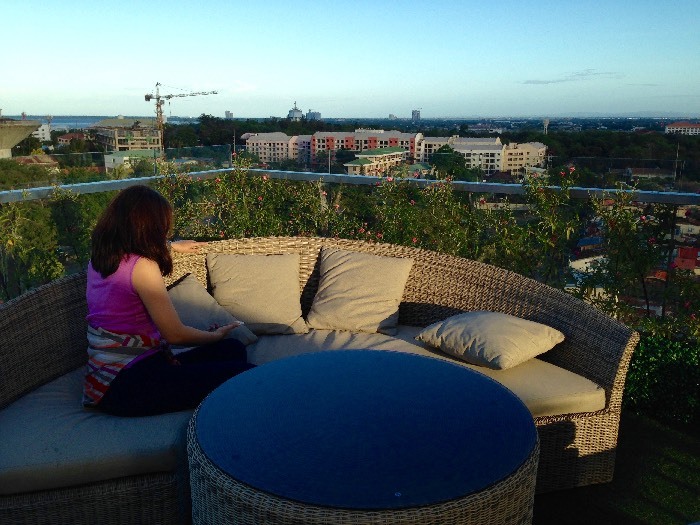 This is the right place to take a girl to watch the sunset and enjoy great food. It will definitely be a memorable date. 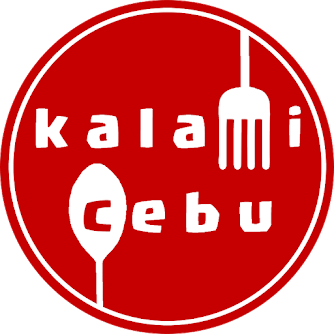 It offers high-quality dishes that can rival any restaurant in Cebu. This place can boast of its food, as much as its ambiance and view. 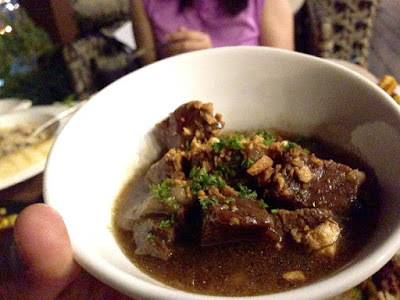 I liked the soup so much that I can say it is one of the best soups that you can find in Cebu. The salpicado was also wonderful and I would probably order that when I go back. 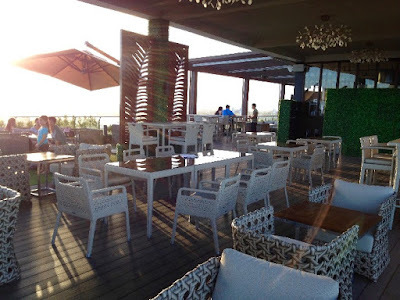 Their drinks promo is also perfect for the sunset viewing date. Price-wise, the food is a bit expensive but if you count the ambiance, view, and service then it is all worth it. The price of drinks is a bargain for this place. No wonder why I see a lot of people coming here after work. 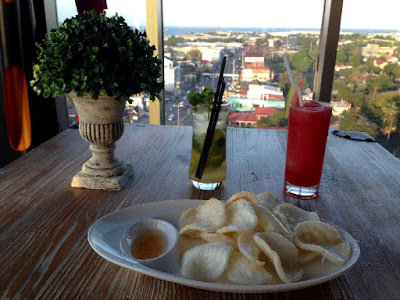 In the end, I can probably say that we found our favorite spot in Mactan. 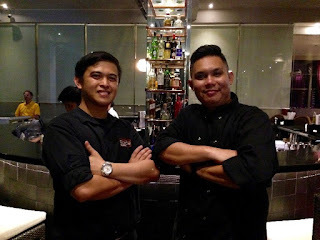 We would like to thank the Scape Skydeck team, led by Chef June and Boss Jervi for the awesome dinner. 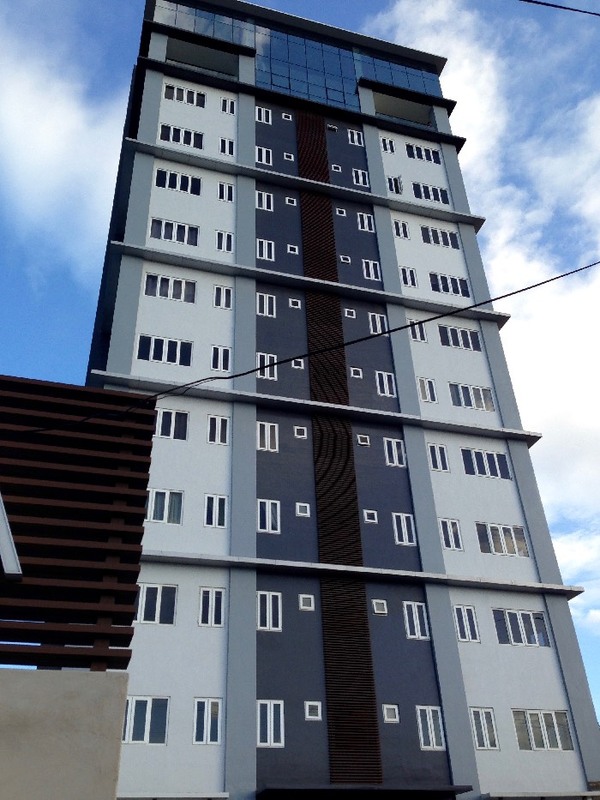 Scape Skydeck is located on the Roof Deck of Azon Residences, ML Quezon National Highway, Pusok, Lapu-Lapu City. 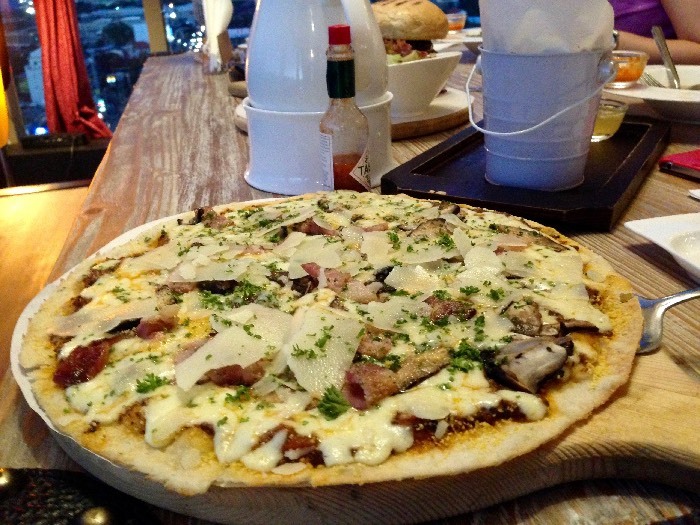 For reservations, you may call (032) 494 0898 or (032) 232 2192. For now, they are only open from 5 PM onwards.